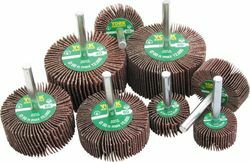 Shaft mounted flap wheels can be used in portable air or electric power tools, including tyre buffers, flexible shafts and hand drills. Manufactured from highest quality industrial cloth. Used for a wide range of applications such as removal of rust, cleaning up welds and sanding wood prior to painting. Recessed hub design for maximum access in tight corners. All wheels are supplied individually. (Boxed in 10s except for 60 x 50 and 80 x 50 which are packed in 6s). 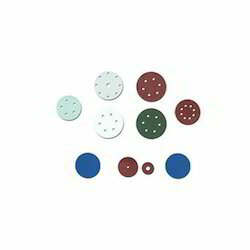 Semi-friable aluminum Ox/Zirc sanding discs with high removal rate. Vulcanized fiber backing and electrostatic coating. guarantee cool grinding with virtually no dis coloration of workpieces. Applications include treatment of weld seams and joints, grinding of areas, debarring and edges breaking and general dressing work. Disc size: 115 x 22mm. 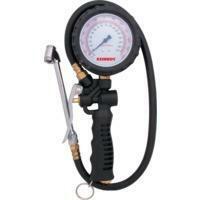 Looking for Abrasive Tools ?